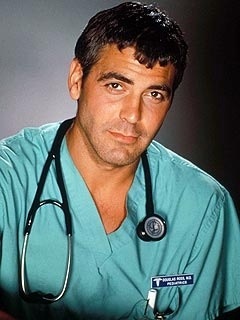 1: George Clooney’s first steady TV role was as a character named Ace in the 1984 medical sitcom, (coincidentally named) “E/R” that was based in Chicago and co-starred Elliott Gould, Mary McDonnell and Jason Alexander. Ten years later it would take another TV series “ER” (also based in Chicago) to finally launch him to stardom. 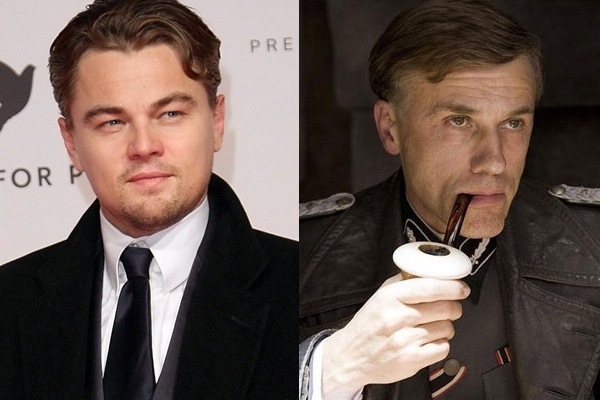 2: Leonardo DiCaprio was the first choice for Col. Hans Landa in “Inglorious Basterds” but Quentin Tarantino then decided that a German-speaking actor should play the part. Christoph Waltz eventually got the part. The two actors would later appear together in “Django Unchained“. 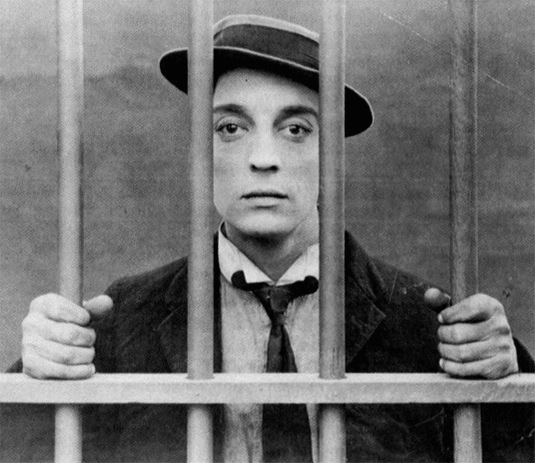 3: Not only did Buster Keaton do all his own stunts, but, when needed, he acted as a stunt double for other actors in the films. 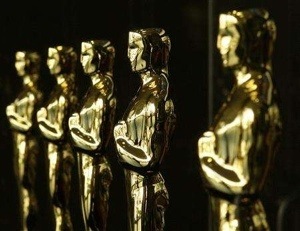 4: There are only 5 actors to achieve 4 consecutive Oscar nominations. They are: Jennifer Jones (1943-46), Thelma Ritter (1950-53), Marlon Brando (1951-54), Elizabeth Taylor (1957-60) and Al Pacino (1972-75). 6: Harrison Ford nominated River Phoenix to play him as a teenager in “Indiana Jones and the Last Crusade“. 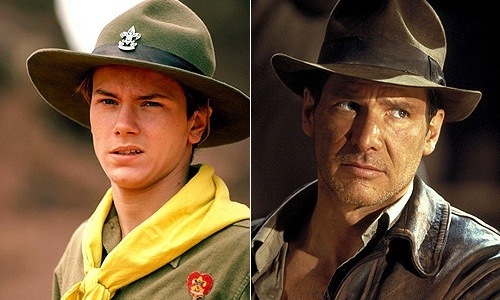 When describing how he prepared for playing the role, Phoenix explained that he didn’t really base his portrayal on the Indiana Jones character, but on Harrison Ford. So he observed Ford out of character before acting his part. 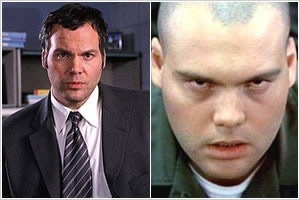 7: Vincent D’Onofrio gained 70 pounds for his role as Pvt. Pyle in “Full Metal Jacket“, breaking Robert DeNiro’s movie weight-gain record (60 pounds) for “Raging Bull“. It took him seven months to put the weight on and nine months to take it off with physical training. 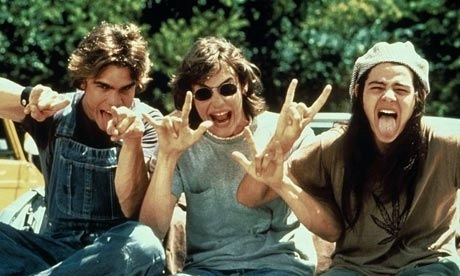 8: Three former friends of director Richard Linklater – Bobby Wooderson, Andy Slater, and Richard “Pink” Floyd – sued him for the unauthorized use of their names and images in the film “Dazed and Confused” and for their representation as stoners, which they said, damaged their reputation. The characters were played by Matthew McConaughey, Rory Cochrane and Jason London respectively. 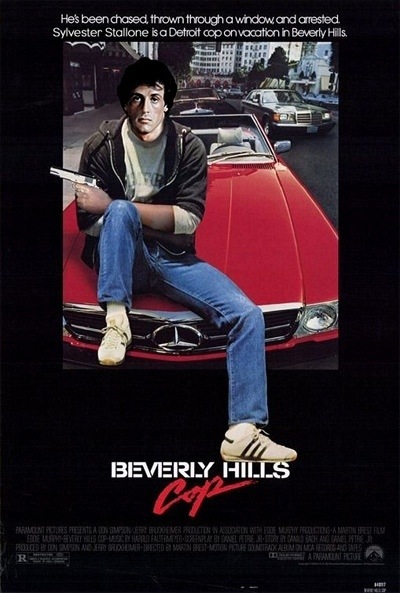 9: The character of Axel Foley in “Beverly Hills Cop” was originally going to be played by Mickey Rourke or Sylvester Stallone. Rourke passed on it and Stallone left the project and used some of his script ideas to make “Cobra“. Other actors who were considered for the role were Al Pacino and James Caan before Eddie Murphy finally took over. 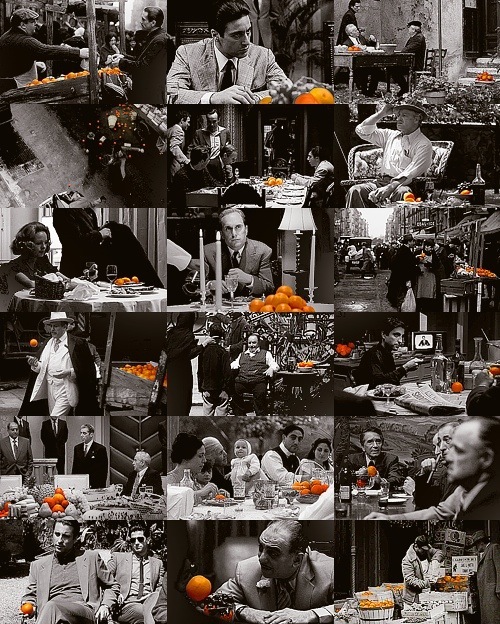 10: The presence of oranges in all three of “The Godfather” movies indicates that a death or an assassination attempt will soon happen. A few examples are: The Senator is framed for murder after playing with oranges at the Corleone house; Johnny Ola brings an orange into Michael’s office before the attempt on Michael’s life; Fanucci eats an orange just before he is gunned down and Michael is eating an orange while plotting to kill Roth; Hagen and Woltz negotiate Johnny Fontane’s position at a table with a bowl of oranges on it, and later Woltz discovers his horse’s severed head; Don Corleone buys oranges right before he is shot; Sonny drives past an advertisement for Florida Oranges before he is assassinated; at the Mafioso summit, bowls of oranges are placed on the tables (specifically in front of those Dons who will be assassinated); before Don Corleone dies, he puts an orange peel in his mouth to playfully scare his grandson. This entry was posted on November 26, 2012 at 6:07 pm and is filed under Uncategorized with tags 2012. You can follow any responses to this entry through the RSS 2.0 feed. You can leave a response, or trackback from your own site. I never noticed that part about The Godfather until now (I feel like watching the movies again just to see it). Great trivia as always. Thanks man. It always nice to hear when some of these tidbits are new to people. The Godfather one’s great I think. Never even noticed the oranges thing. And I completely forgot about D’Onofrio playing Private Pyle! Good stuff Mark! Thanks Keith. Another one fresh to The Godfather bit eh? I had heard of this years ago but only remembered it recently. Thanks Steph. I can’t imagine anyone else as Landa either. Waltz was fantastic. I’m not sure why Coppola decided on oranges, I must dig a little deeper and find out. I totally reckon I could put on more weight than that in 7 months 🙂 And like everyone else, I hadn’t noticed that about The Godfather and the oranges. Odd, but kinda cool! Another splendid edition Mark! Love that Orange bit with the Godfathers. I’ve heard that before. I’ve always wondered what Coppola was thinking, why he did that. It cant be coincidental, can it? Yeah, I was a big fan of Phoenix. Greater things lay ahead for him. Apparently, the movie he was shooting at the time of his death “Dark Blood” has now been completed. It’s due for release next year I think. Not sure as to Coppola’s reasons for the oranges but it was definitely deliberate. I’m with you on Waltz man. He was excellent in that role. DiCaprio I like very much but there’s no way Waltz could be beaten. That’s an awesome trivia about the Godfather, wow that is interesting indeed. I’m curious where Coppola got that idea from. I’m w/ Fogs that I’m glad Leo didn’t get the part of Landa, man I can’t imagine anyone else in that role besides Christoph Waltz. 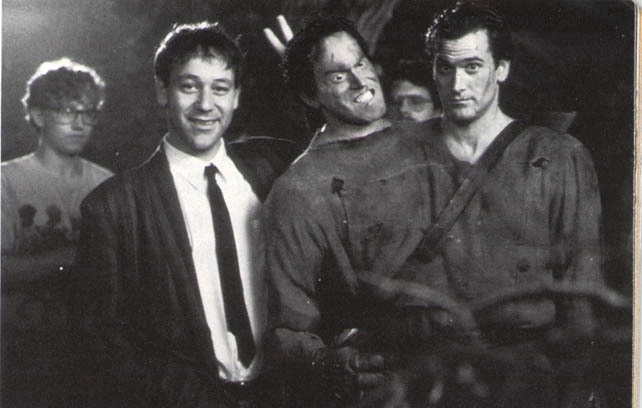 Oh Raimi and Campbell were friends from high school… that explains why they collaborated so much. I think Campbell might have a contract that he has to have a part in all Raimi’s films, ahah. Another one fresh to The godfather one Ruth? It’s a beauty but like I’ve said to others, I don’t know why he done it. I’ll look into though. Totally agree on Waltz too. He was fantastic as Landa. Yeah Raimi and Campbell go way back. Apparently Joel Coen is an old friend as well. Man, Keaton really could (and did) do it all. Love him. And that oranges/Godfather bit of trivia is fantastic. Never heard that before. Thanks for stopping in again Alex. Glad to hear you found something of interest. Only one person so far seems to have heard of The Godfather one. Man, can’t imagine anybody else as Axel Foley. That’s a surprising one, it just seems like it was designed for Eddie Murphy. The Clooney bit I knew, and has been one of my favorite TV trivia tidbits for a while. I can’t imagine anyone else as Foley either Morgan. Certainly not the ones mentioned. The Clooney one was new to me, I just stumbled across that the other day. It’s a good one though. Thanks man. Great trivia, love the Godfather orange bit. Happy that DiCaprio didn’t appear in Basterds, Waltz really was perfect in the role. Interesting facts on Beverly Hills Cop! It looks like everyone’s in agreement on Waltz Nostra. He was absolutely superb. I’m going to be a broken record here, but that Godfather trivia is awesome. Had no idea about that. Haha. That’s okay Eric. I’m just glad to hear that people always get something from these posts. It’s moments like this that make this feature worthwhile. Thanks man. again…that Godfather one is amazing, i’ll look out for it next time I watch it. Love this feature. I knew it took him ages to lose the weight from the role but 9 months! Yeah, apparently so. I’m still a bit disappointed that he broke DeNiro’s record to be honest.